Coming into Week 3 and there are key injuries around the league at almost every position; if you started 0-2 so far then it's not time to worry. It's time for you to work the waiver wire and find these breakout position players. I am excited about the potential of the players on this list and they can put points on the board for you team or add depth to your bench. 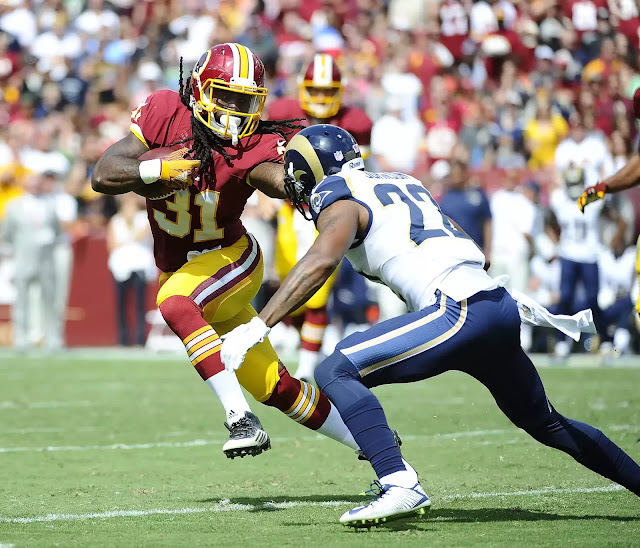 Matt Jones (RB, WAS) - he got it done this weekend and is a must grab for all Alfred Morris owners, but most likely he will be hard to find on the waiver wire. If he is available he should be grabbed as he will take more and more work away from Morris. Devonta Freeman (RB, ATL) - If Coleman misses any time due to rib injury then Freeman will get more work. He is worth grabbing if you own Coleman. Dion Lewis (RB, NE) - Yes, LeGarrette Blount was activated, but just not used. Dion Lewis is being fed the ball on the ground and through the air, as long as he doesn't fumble he could continue to see work in the backfield and through the air. He is a must-grab at this point to build up your RB bench. Tyler Eifert (TE, CIN) - a huge target for Dalton and is utilized in the red-zone; Eifert is a solid TE pick-up if he happens to still be on the wire. James Starks (RB, GB) - if Eddie Lacy misses any time with his ankle injury then James Starks will be a solid fill-in while he recovers. Travis Benjamin (WR, CLE) - it's hard to recommend a WR in Cleveland but Benjamin has shown enough to be the WR1 in Cleveland. He presents weekly upside and if you are in need of a injury fill-in then the upside of Benjamin can't be ignored. Jordan Reed (TE, WAS) - he is putting up consistent weekly numbers and if you are in a PPR league he can give you reliable points with TD upside. He is a must grab at this point. Stevie Johnson (WR, SD) - he is a big target for Philip Rivers and has TD upside weekly. If you need depth at WR on your bench then look to Stevie to fill the gap. Donte Moncrief (WR, IND) - solid showing this week as well and will be a solid PPR pick-up with TD upside. Even with Hilton back he will see solid production for the rest of the season. Terrance Williams (WR, DAL) - as long as Dez Bryant is out Williams remains a spot-starter; he should continue to post five catches and 70 yards and an occasional TD even with Weeden in at QB. Chris Johnson (RB, ARZ) - the clear starter in Arizona if you are still looking for a RB. He was most likely picked up last week but check and see as he would add depth to your team. Crockett Gillmore (TE, BAL) - solid outing this weekend for a TE that is physically strong; he really looks like the next receiving option behind Steve Smith Sr. and is a red-zone target as well. 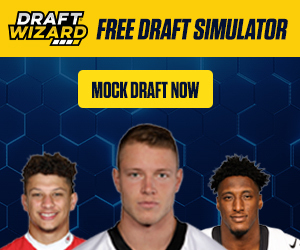 If you have a less than stellar TE and looking for a TE with upside then look at Gillmore. Damien Williams (RB, MIA) - if Lamar Miller misses time with his ankle injury then Williams will step-in. If you are in a PPR league Williams has solid upside and TD potential. Karlos Williams (RB, NE) - must own Lesean McCoy hand-cuff. He is being used in the red-zone and is looking sharp. Mike Davis (RB, SF) - at this point he is only a hand-cuff for Carlos Hyde owners. Hyde was feared to have a concussion this weekend, but he did not, so expect him to play next week. If anything were to happen to Hyde then Davis would be the lead RB. Lorenzo Taliaferro (RB, BAL) - he is a red-zone vulture, so if you are in a TD only league then look to him as a bye-week filler. David Johnson (RB, ARZ) - looking sharp on the field and on special teams. Ellington should be out another week and Johnson has upside. Jeremy Langford (RB, CHI) - there was mention that Matt Forte may see less carries this week so they don't burn him out. Langford is a hand-cuff for Forte owners. Duke Johnson (RB, CLE) - he is starting to get more work and will continue to get more work weekly. Being on the Browns makes him less reliable. Chris Polk (RB, HOU) - he will only be worth a look as long as Arian Foster remains out. Polk has now overtaken Alfred Blue as the lead RB. Derek Carr (QB, OAK) - played extremely well against the Ravens defense and can be relied on as a spot-starter in the future knowing he will not be consistent weekly. Michael Crabtree (WR, OAK) - Crabtree saw a ton of targets this weekend and that will continue in the future. Crabtree is a solid pick-up in PPR leagues with TD upside in an offense that is not scared to throw the ball. Brandon Weeden (QB, DAL) - Tony Romo is out again with a broken collarbone and Weeden is going to step in as the starter. Dallas may run the ball a bit more now with Romo gone, but Weeden does have upside in this offense. Tyrod Taylor (QB, BUF) - he was able to keep up with Tom Brady this weekend tossing a number of TD's. At this point he is only a bye-week filler, but he is a QB that should be on your radar. Eric Ebron (TE, DET) - seeing around five catches a week and a TD has to be a TE you consider as a spot-starter for injuries or bye-weeks. He is looking solid so far this year and you can expect five catches for 50 yards and potential TD a week going forward. Heath Miller (TE, PIT) - not a pick that will make your friends jealous, but he is available in 70% of leagues, so if you need a spot-starter or a more reliable TE then look to Miller. Andy Dalton (QB, CIN) - Dalton is not owned in very many leagues but knows how to throw TD's. He is a solid bye-week filler or replacement for Tony Romo if you lost him this weekend. Dorial Green-Beckham (WR, TEN) - he shouldn't be picked up, but he is a monster red-zone target for Marcus Mariota. I love huge WR's and he is someone that I am keeping a close eye on. Leonard Hankerson (WR, ATL) - if you are in a very deep PPR league and need a WR then Hankerson is a player to consider. He could draw four to seven receptions a week in an offense that likes to throw the ball. Rishard Matthews (WR, MIA) - he drew a ton of targets from Tannehill and may continue to see targets weekly, but still can't be recommended as a spot-starter until we see more consistent production. Aaron Dobson (WR, NE) - he is being put in as the WR3 in New England. He is only worth monitoring at this point but is a big target for Tom Brady. Darrius Heyward-Bey (WR, PIT) - he is getting enough action to be considered but Bryant will be back soon. Marvin Jones (WR, CIN) - it's good to see Jones getting into the game. He has talent and is only a spot-starter at best right now. Jacob Tamme (TE, ATL) - Matt Ryan has been known to throw to his TE when Gonzalez was around, so it's nice to see him utilizing his TE a bit this week. Tamme is just someone to watch for now, but if you are in dire need of a TE then he can be considered. Scott Chandler (TE, NE) - he is not the most sure handed TE but NE likes to run two TE sets and they like to target TE's in the red-zone. If you are in a very deep league and TD dependent then Chandler is someone that you could gamble on. He is my lease favorite TE on the list to be transparent. Dexter McCluster (RB, TEN) - keep an eye on him but for now he shouldn't be grabbed.